Tilt and turn windows are amazingly functional and work by tilting and turning the handle. They are easy to clean and are able maximise your living space by allowing more space to see outside. Click on the link below for your free quote today.  At Crown Windows we offer a variety of Tilt and Turn Windows to suit any house type from detached, semi to terraced. Below are just a few examples of Tilt and Turn Windows we have recently fitted for just some of our happy customers. Providing a great contemporary look, Tilt and Turn Windows are mazing for maximising ventilation and light in your home. Tilt and Turn Windows provide great insulation and are very easy to maintain as their operating system allows you to clean them from the inside. The maintenance of these windows is simple, as the whole window will open from the side into your room, both sides of glass, including the frame can be cleaned without you needing to step outside. With tilt and turn windows, you no longer any need to use expensive cleaning systems or window cleaners, so you will reap the financial savings. Tilt and Turn Windows are very easy to use, by twisting the handle the window can be tilted from the top maximise ventilation. However a half turn of the handle opens fully opens the window from the side. Tilt and Turn Windows can easily suite any type of home to create a contemporary look.